Leo H. Wagner, 82, of Lenzburg, IL; born on March 17, 1936 in Red Bud, IL; passed away on Sunday, November 18, 2018 at Barnes-Jewish Hospital in St. Louis, MO. Mr. Wagner was a carpenter. 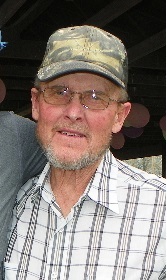 He was a member of St. Paul Lutheran Church. Mr. Wagner served in the United States Army Reserves. He was a member of Carpenters Local 662. Leo enjoyed woodworking, gardening, camping and boating. He is survived by his wife – Carol, nee Thomas, Wagner whom he married on July 12, 1958 in Edwardsville, IL. One son – Lee Wagner of Lenzburg, IL. His grandchildren – Lea, Rebecca, Hailey, Emily, Casey, Meghan, McKenna. One great-grandson – Rhett. One sister – Dorothy Spiller of Granite City, IL. Brother-in-law – Jim (Donna) Thomas of Belleville, IL. Sisters-in-law – Gayle (Arnold) Voelkel of Lenzburg, IL; Sharon Thomas of Marissa, IL; Beverly Lorenz of Watertown, WI; Marian (Darwin) Brooks of Abilene, TX.He was preceded in death by his parents – Leo P. and Clara, nee Pabst, Wagner. Memorials may be made to the ALS Society of Greater St. Louis. Visitation: Friends may call at St. Paul Lutheran Church in New Athens, IL on Saturday, November 24, 2018 from 10:00 a.m to 2:00 p.m.
Funeral: Services will be held at St. Paul Lutheran Church in New Athens, IL on Saturday, November 24, 2018 at 2:00 p.m. with Rev. John Lukomski officiating. Interment: Burial will be held at Valhalla Gardens of Memory in Belleville, IL. Heil-Schuessler Funeral Home in New Athens, IL is in charge of arrangements.